In a world of thousands of brands and models must learn to know what we seek and what is closer to our needs. 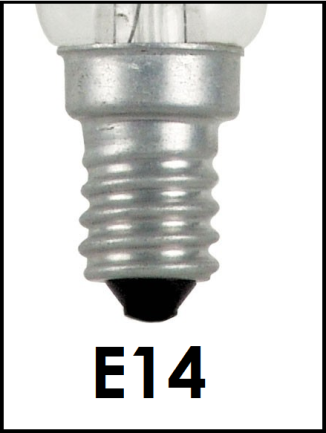 Fine thread; technically called E14. Is commonly used in desk lamps or lamps with multiple bulbs. Its use is restricted to low power bulbs. 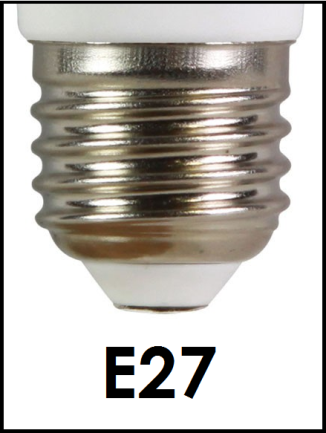 Coarse thread; technically called E27. It is the most widespread type lamps with screw connection, from low power to high power. 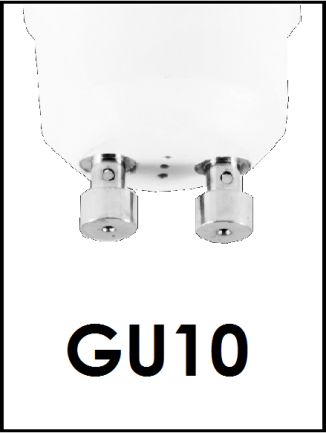 GU10 connection; It is a historically used in halogen spotlights direct connection to 230V connection. It consists of two pins with thicker heads than the rest, they do stop for loosing when connecting. 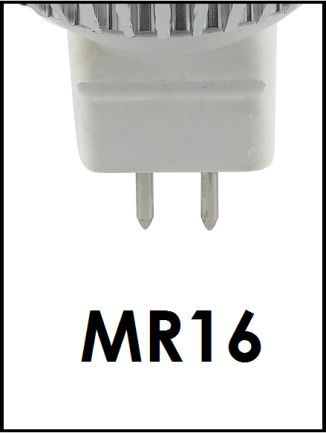 MR16 connection; is the type of connection used historically connected to 12V halogen lamps (to a small transformer). It consists of two pins, as a small thick needles, they perform the connection. 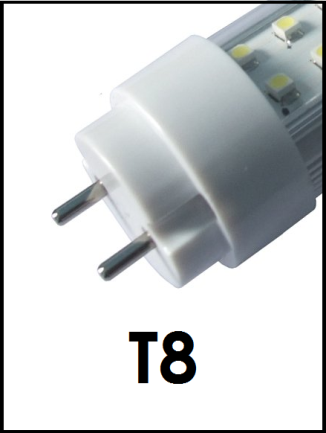 T8 connection; is the most widely used type of fluorescent tubes, now also used for connecting LED tubes. Keep in mind that most substitutions for LED tubes do not need the famous starter and reactance, so you have to remove or disable them. There are other connections lesser used domestically, as GU20, GX5.3, G9, G4, AR111, AR112, etc ... but the most used are those already mentioned. The power of the LED bulb is measured in watts (W) and indicates that consumption will. An LED bulb 10 W operating 10 hours consumes 100 Wh (watt hours) or what is the same 0.1 kWh. The power of an LED bulb can give us a rough idea of the luminosity produced. Below is a useful table to compare the most common models. The brightness or light output is measured in lumens (lum, lm or lumen) and determines the brightness of a bulb, it whatsoever. The LED bulbs have a high efficiency because the amount of lumens per watt consumption achieved is superior to other technologies, can exceed 100 lumens per watt. This allows us to reduce the power requirement (and consumption) for the same level of brightness. 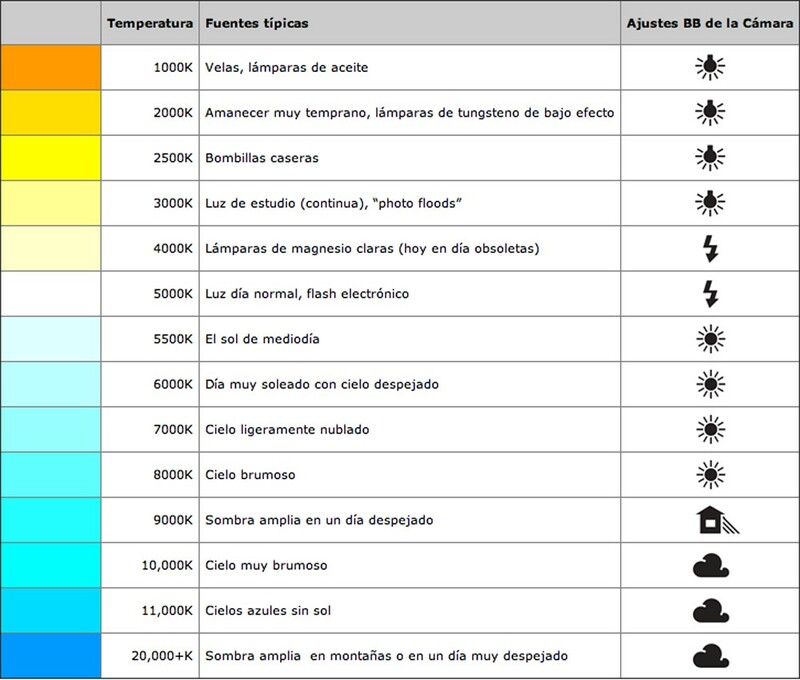 The color temperature measured how cold or warm it is the light bulb. A great feature of LED bulbs is their long life. Traditional bulbs only lasted 1,200 hours of operation. The low power increase these records about 5,000-6,000 hours, but the life of LED bulbs is between 20,000 and 30,000 hours, which makes them perfect for very intensive use. A LED bulb used for 18 hours a day, will last 4 or 5 years, sparing many purchases and changes in lighting, become very useful in difficult to reach locations. As with the other features, there is also a wide variability in prices of different models. The quality of an LED bulb depends on the quality of encapsulation, which largely determines what the life of the bulb. That is why we must take into account the collateral provided. 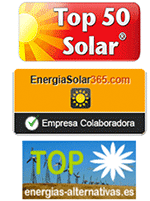 For all the store-solar LED lighting has a two year warranty. Look for the best value and distrust excessively low prices, this is a product that should last few years, even with very intensive use.